Sutcliffe Meats Chatswood joined our Mission to help provide access to “Clean Water for All by 2030”. This Mission was initiated by the United Nations. A big thank you to Sutcliffe Meats Chatswood’s team and customers for joining this extremely important mission on 06 April 2018. 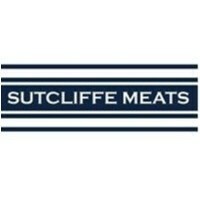 At Sutcliffe Meats Butcher Shop we have over 50 years of experience within the meat industry. We source only the freshest, finest quality meats and our mission is to be Australia’s premier retailer of fine meat products that support our farmers and satisfy our customers. Our butcher shops provide a wide range of affordable and fresh meats including chicken, beef, lamb, pork, turkey and game. Our delicious meats are sure to be the highlight of any meal or occasion. We pride ourselves on the fact that all of our meat is 100% Australian. Choose Sutcliffe Meats butcher shop for meat that is delicious, ethically sourced, affordable and farmer friendly.